My knowledge of women's clothing can be summed up in a simple sentence: "I like it." As to what brand, or its specific attributes that make it appealing, I have no clue. I've just learned at an early age that it's best just to say those three words in order to avoid any "unexpected conflicts" that could arise. Not because of my lack of contentment in the clothing, but because of my lack of knowledge. Luckily, when it comes to motorcycle gear, I can make safe assumptions on things I like not just because of how it looks, but because of the safety features. 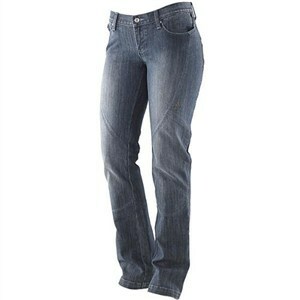 These Shift Women's Denim Street Motorcycle Pants are made out of a mixture of 12-ounce denim and stretch spandex, which provides greater abrasion resistance and protection all the while being able to hug those curves. If that wasn't enough, there are reinforced panels in the saddle, thigh, and knees to maximize the protection, and you know what those areas are reinforced with? 100% Kevlar, baby. Though not tested to stop a bullet, they should hold up well in the event of a spill. These jeans also feature five pockets, none are zipping however, but it makes these feel like a regular pair of jeans even more. They're available in women's sizes ranging from 0-16. 1.Your website Spotmotorcycles.com is not ranking top in Google organic search for many competitive keyword phrases.